Who is the Erma Nash Spelling Bee Champion? Every year, all of the third and fourth grade students at Erma Nash Elementary are given preliminary spelling tests to see who will be among the top twenty for the opportunity to compete in the school Spelling Bee. The Spelling Bee contestants competed against each other on December 10, 2018, for the title, Spelling Bee Champion! The winner was fourth grader, Miss Gracie. 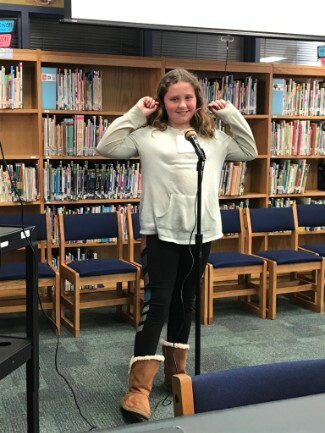 Miss Gracie will compete against other students in MISD this February, ranging from third through eighth grade, each representing their own school, for the title, MISD Spelling Bee Champion! With that being said, we would love to wish our Champ, the BEST OF LUCK!!!!! Also, a big THANK YOU goes to Mr. Terry Moore, former MISD School Board Member, for being our Pronouncer the day of our competition- you continue to serve and represent Nash and we couldn't be more grateful. Way to go Tiny Tiger!! !